Take one look at Honda's lineup of vehicles and it's easy to see that the Japanese automaker isn't sold on electric vehicles. 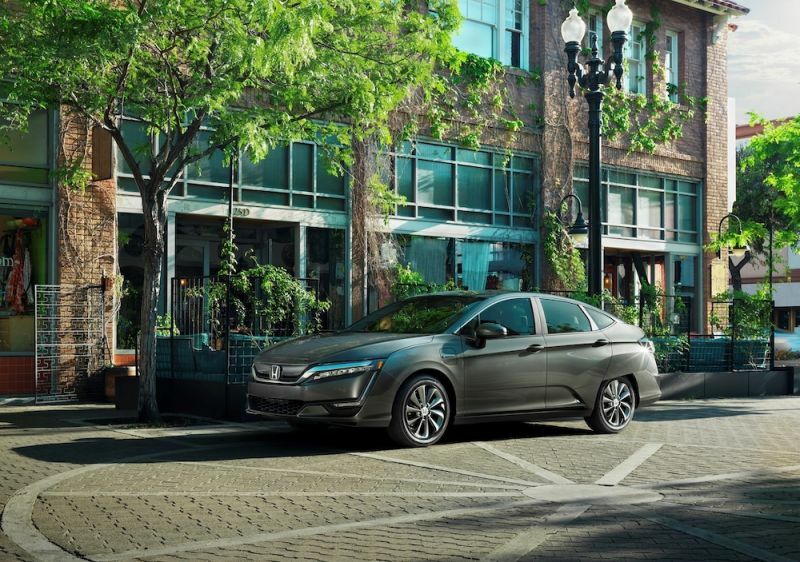 Honda only has one fully electric vehicle, which is the Clarity Electric (pictured above), and that can't compete with modern EVs with a range of just 89 miles. That doesn't mean Honda might develop more electric cars in the future, and the brand's latest partnership with China's largest electric-vehicle battery supplier reveals something could be in the pipeline. What's in Store for Honda and CATL? As Reuters reports, China's Contemporary Amperex Technology Ltd. (CATL) and Honda have entered into a partnership that will see both companies work together to jointly develop lithium-ion batteries for electric cars. The outlet claims that CATL will supply Honda with lithium-ion batteries that will have a storage capacity of roughly 56 gigawatt hours (GWh) by 2027. CATL will also open an office near Honda's research facility in Tochigi Prefecture. "The agreement focuses on supply of EV batteries in Asia," Honda spokeswoman Tomoko Takemori told the outlet. "We could also consider some supply for the North American market." As the spokeswoman laid out, the majority of these batteries will probably go toward electric vehicles in China. While electric cars are becoming more popular in the U.S., China is still leading the way forward when it comes to electric vehicle sales. Honda may not have a large amount of electric vehicles globally, but that could change in the near future as every automaker is looking to ramp up the production of EVs to not only meet stricter regulations, but to also compete in the world's largest market. What Else is Honda Doing? Honda has plans to introduce its first battery-powered vehicle in China later this year. There's a high chance that the vehicle could be heavily based off of the Everus EV Concept that we saw last May. According to unnamed sources, Reuters claims that the partnership is to help Honda diversify its battery supply bases and to ensure the automaker has enough stock for the future. Obviously, the decision to partner with one another will also let Honda get an idea of what it's like to use CATL's components in its vehicles. CATL isn't the only company that Honda has partnered with when it comes to making EV batteries. Last June, Honda and General Motors created a partnership to develop the next generation of batteries. While Honda is looking to come out with only one model for the Chinese market, GM wants to launch 20 electric cars in the country by 2023. Honda isn't the only company CATL is working with. The Chinese company is also working with Volkswagen, BMW, and SAIC Motor Corp.